Is that not the best quote? It just takes my imagination right down a path. LOVE this. I found this quote on Gennine’s Art blog. 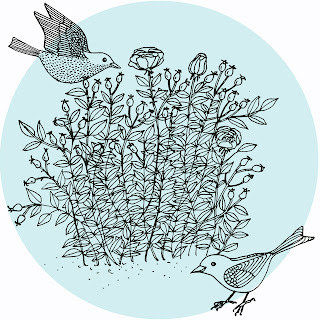 I adore Gennine’s lines and drawings, she draws birdies! And flowers! And takes gorgeous photos! And likes bright colours! As I’ve mentioned I love birdies. Every month she posts a free desktop calendar, a great way to perk up your computer.